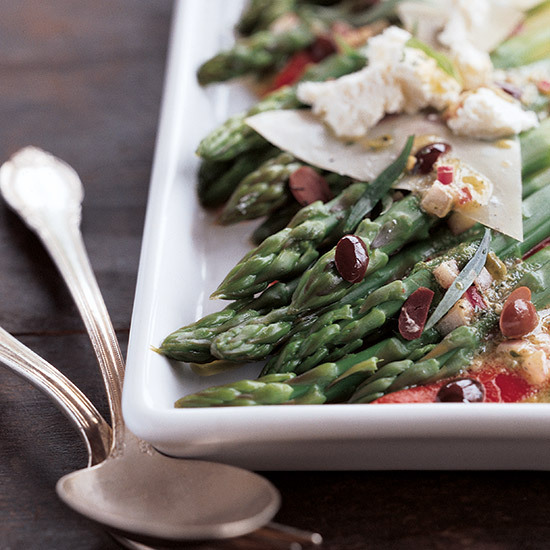 From asparagus salad with toasted walnuts and goat cheese to Spring lettuce salad with roasted asparagus, here are Food & Wine's best asparagus salad recipes. This salad is a tribute to Carmellini’s former boss, Gray Kunz. The combo of kaffir lime leaf and curry powder in the sauce is “classic Kunz circa the mid-’90s,” when they cooked together at Lespinasse in Manhattan. The tangy sauce is also terrific with soft-shell crabs or steamed white fish. 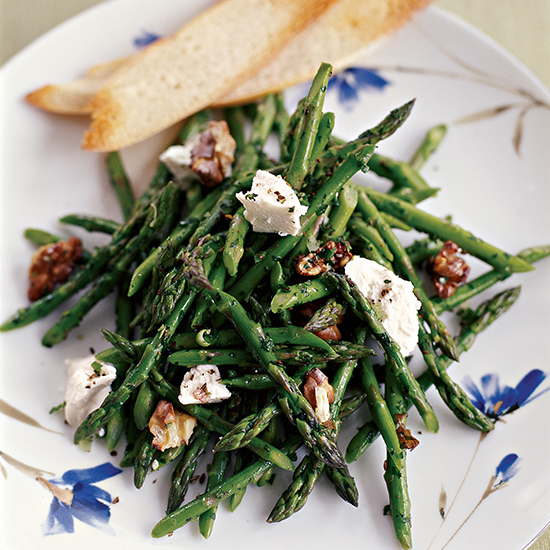 This fresh salad is perfect for a light Spring lunch. 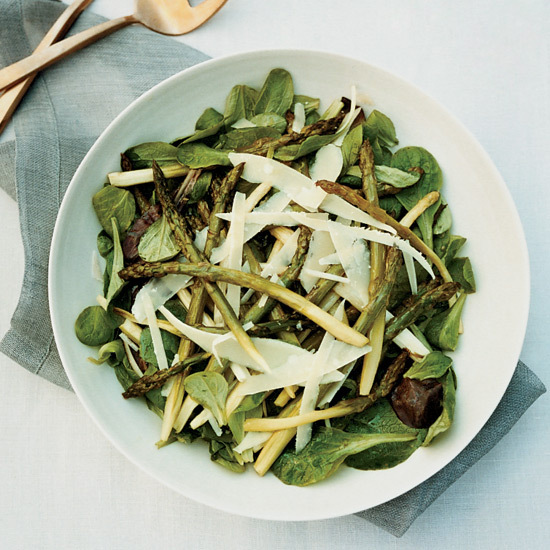 Shaved asparagus makes for a delicious twist on asparagus salad. 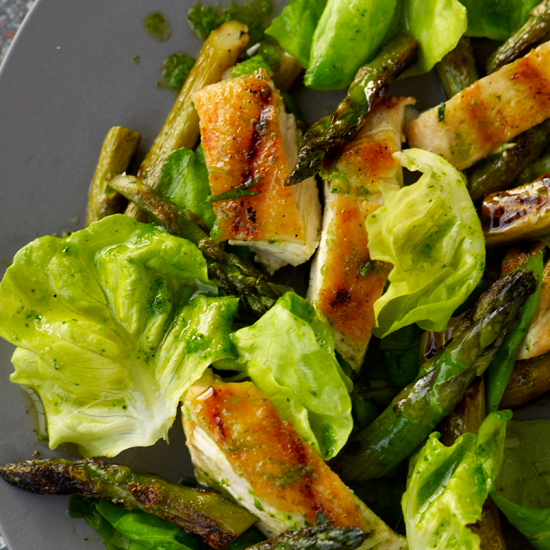 This light salad is great for lunch or dinner. 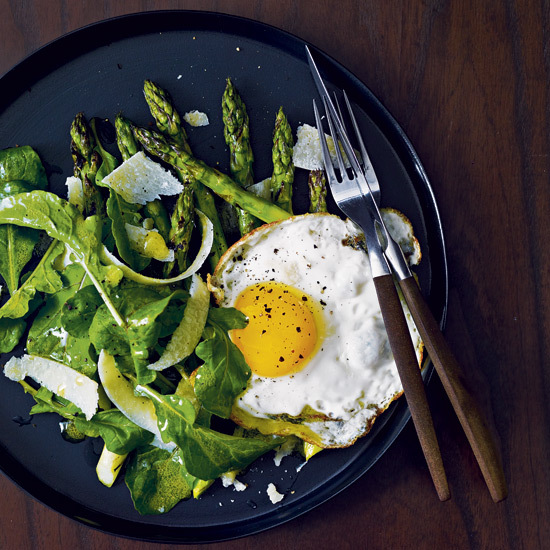 Chef Mark Broadbent upgrades the standard lemony arugula salad by topping it with grilled asparagus, butter-fried eggs—duck eggs, when available—and freshly shaved Parmigiano-Reggiano. 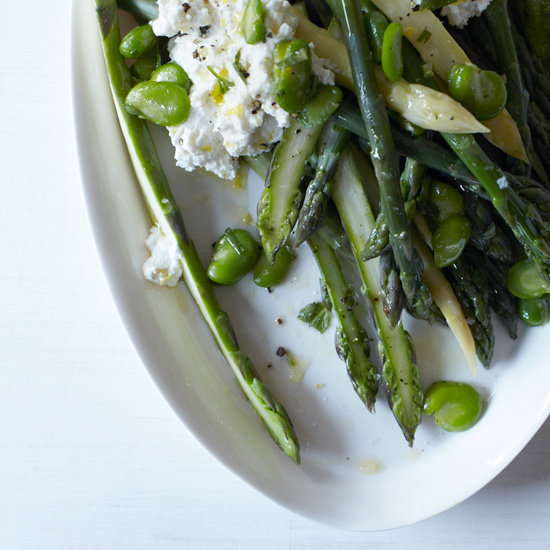 “All the things that are wonderful about spring are in this one dish,” says Amelia O’Reilly. She suggests substituting English peas, even frozen ones, for the fava beans if favas aren’t available or you don’t want to bother shelling them. “My mom buys favas and they just sit in the bag,” she says.